The trinidad+tobago film festival (ttff) will launch its programme of events for this year with its third annual Carnival Film Series. Sponsored by the Trinidad and Tobago Film Company (TTFC) as part of the T&T Film Nights community film screenings initiative, the series showcases Carnival-themed films, and takes place from 23 January to 5 February at venues across the country. Admission is free and all screenings start at 7pm. 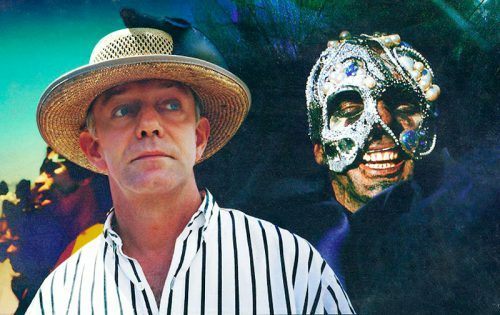 The programme gets underway on Wednesday 23 January at Medulla Art Gallery, 37 Fitt Street in Woodbrook, where there will be a tribute to celebrated Carnival bandleader, Peter Minshall. The tribute will take the form of screenings of two films about Minshall and his work: Rat Race and Masman: The Complete Work, both directed by Dalton Narine. Then on Friday 25 January, Carnival researcher Ray Funk will make a presentation at the amphitheatre of the National Library, Port-of-Spain. This 90-minute event will include the screening of vintage, never-before-seen video footage of Mighty Sparrow, Lord Christo, Desperadoes, Cavaliers and others. Sunday 27 January will see the pgrogramme move into Couva, at Holy Faith Convent. Here three films will be screened: the stickfighting documentary Mystic Fighters, directed by Sophie Meyer; Jeffrey’s Calypso, a short dramatic film written and directed by Vashti Anderson; and Centre-staging the Jamette, an interview with Machel Montano conducted by Sr Theresa Vialva. Tobago will then get its share of the action, with a screening of Kamalo Deen’s classic comedy Bacchanal Time, featuring appearances by Mighty Shadow, Crazy, Calypso Rose and others. This takes place on Wednesday 30 January, at MovieTowne in Lowlands. The programme comes to an end on Tuesday 5 February at Trevor’s Edge, St. John’s Rd, St. Augustine. Here there will be a screening of Jab: The Blue Devils of Paramin, directed by Alex de Verteuil, and a series of short films by Yao Ramesar, on traditional mas characters and the fire dance.